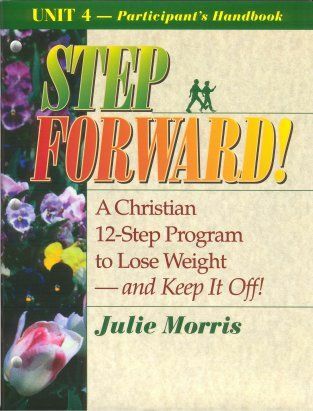 Learn how to lose weight and take a second helping of the spiritual food that really satisfies as you begin the Twelve Steps. When you take the first two Steps, you recognize that you don't have the will power to lose weight, but you know Someone who can give it to you. In Unit 1, the author shares the story of her life-long struggle with overeating and describes her 22-year recovery. 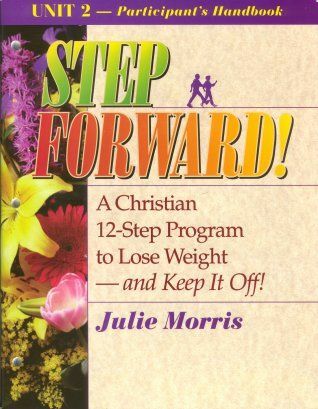 She also gives a complete description of how to work the Step Forward Program. In addition, Unit 1 provides the weekly lessons which cover Steps One and Two. The Leader's Guide explains how to start your group, gives practical tips for handling any problems which may arise, Bible meditations, and the answers to each question posed in the lessons. 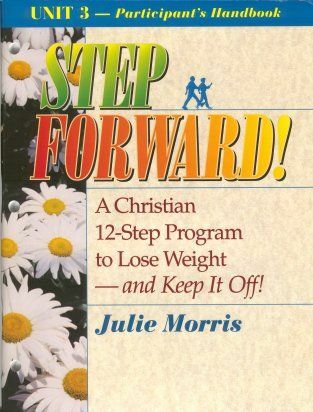 It is designed so that anyone may start their own Twelve Step weight-loss support group/Bible study. As you work the Step Forward Program, you will learn how to plug into God's power instead of relying on your own. Take another Step Forward to a new (and thinner!) you. As you take Steps Three and the introduction to Step Four, you learn how to surrender your life - including your past hurts and your present weakness with food and other things - to the Lord. Explore your "Stumbling Blocks to Surrender" and learn to use "Stepping Stones of Recovery" to surmount them. Learn how to trust God more, what to do when you are overwhelmed, and how to let go of resentments and worries. Newcomers are welcome any time and may begin working through the program by getting a coach and reviewing Unit 1. As you complete Steps Four through Seven you will learn what a life-changing difference Step Forward can make. In your group, you have friends who love you unconditionally. As you inventory your weaknesses, it is easy because you have others who share them with you. You experience the real meaning of Christian community: working together to learn how to turn from weaknesses, honestly sharing mistakes, praying for each other and rejoicing together over victories. In Unit 3, you will explore ways to let go of feelings like resentments, regret and inferiority. You will take a Temperament Test to see why some weaknesses are harder for you to let go of and then take a Spiritual Gifts inventory to see what wonderful things God is putting in their place. In Steps Eight and Nine, discover how to mend relationships--make up for any harm you might have done and establish healthy boundaries with others so you won't keep making the same mistakes. 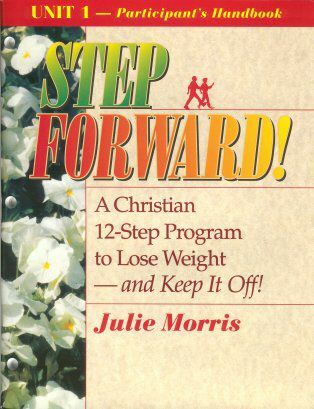 As you take Steps Ten through Twelve, you will learn how to know God's will and how to continue to make healthy lifestyle changes one day at a time - even when you don't want to. End this unit by learning how to turn the misery that your extra pounds have caused into ministry. Many people are Stepping Forward year after year by inviting newcomers and starting over at Step One.